The Très Court International Film Festival is a French competition for short movies of 4 minutes or less. The event reached its 20th edition in 2018 with the screening of movies held simultaneously for 10 days, 1-10 of June, in more than 70 cities in 20 countries, including Cluj-Napoca, Romania. 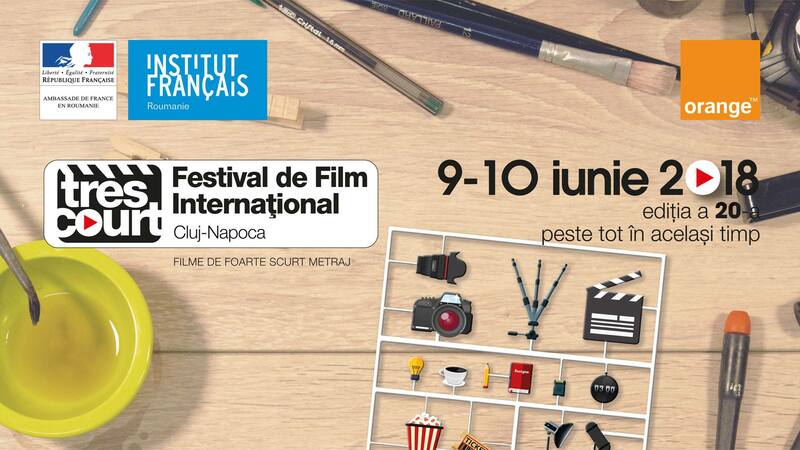 The French Institute in Cluj held the festival at Cinema Victoria on June, 9-10. There were 4 selections at the festival in Cluj-Napoca. The first one was a family selection, which was dedicated to big and small children, ages 6 to 106 year-old, who dream to travel to fantastic worlds. The second was Paroles de Femmes or the women selection, which was dedicated to women. The screening of 20 short movies on this selection addressed issues around feminity, women and feminism. “Movies on the women selection are really interesting to see because many directors express issues around women in short movies. The short movies were basically focused on defending, supporting, and promoting civil rights for women: women’s right to a normal career, even if they have kids and family, the right not to be molested when they go out on the streets of big cities, the right to be respected, the right to be homosexuals, etc.”, said Xavier Leroux, director of the French Institute in Cluj. The third one was Romanian competition. 15 movies were screened, with themes linked to the socio-political reality that Romanian people live in. Therefore people watched movies related to topics such as family, technology, traditions, etc. In addition, the special theme for Romanian competition this year was about corruption. As the French Institute has a partnership to Asociația Inițiativa România or Initiative Romania Association, they also supported their anticorruption festival titled “Once upon a time in Romania”. “The second topic we are promoting this year is anti-corruption. We have 4 movies that we promote. They basically show different kinds of short movies but all of them are denouncing, criticising corruption and showing that corruption is not only evil, but is also like a disease, and does not help society to move forward, to become a better place”, Leroux explained. The last one was the International competition, with 41 shorts approaching diverse topics. “The purpose of this event is to give opportunity to artists from all over the world to show their short movies. The films must be less than 4 minutes, and some of them were 2-3 minutes or even 20 seconds. It’s really interesting to see story in 20 seconds.”, Leroux said. The movies in every selection, except the family selection, competed to win several awards. For example, during the screening of the international competition section, people had the chance to vote the movies that they liked. The festival was held in 17 cities and rural communities in Romania. Thus, it made Romania become the country with the most votes – in France, the festival was held in 15 different locations. “The French Institute in Cluj must organize the festival in multiple locations around the country. Everyone gets to vote for 3 movies that they like and maybe the movies they pick will win some awards. 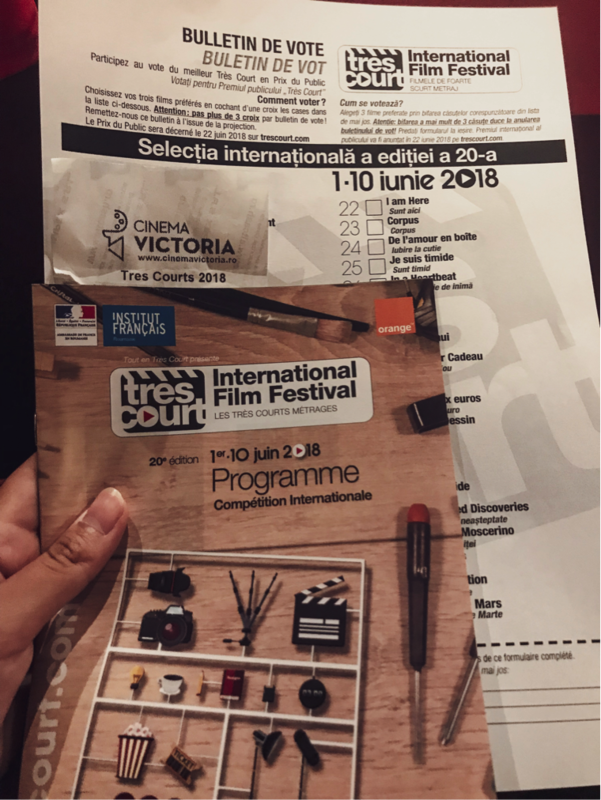 There are 17 places in Romania and usually Romania had a pretty important role in the voting process”, said Raluca Mateiu, coordinator of The Très Court International Film Festival in Romania. The Très Court International Film Festival in Romania captivated the public. The fact that many directors could present a story in such a short time amazed the audience. “I liked the event. It was interesting to see how big ideas can be put in a couple of minutes and how interestingly and artistically they can present it. I felt like some of the short movies I watched have huge philosophies behind the projection screen”, said Bàlint, one of the visitors.